In 2017, we were commissioned to design and build a War Memorial for Waggener High School to honor Waggener students who served in the defense of our country. 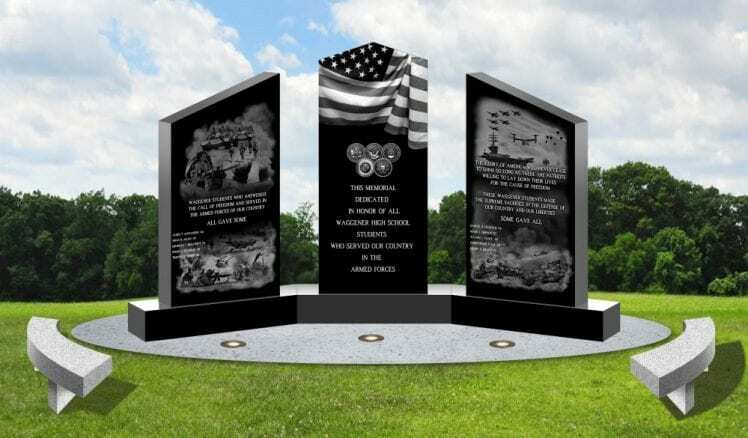 The result was a beautiful black monument that features a delicately etched American flag and etched scenes featuring the five branches of service. It list the names of Waggener students who have lost their lives in the defense of our freedom.